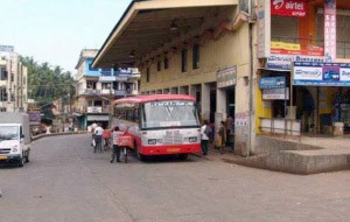 Udupi, Feb 09 2019: Haphazard pace of the repair work of the washrooms at the Udupi city bus stand is causing a high degree of inconvenience and avoidable trouble to the travellers as well as the staff who are compelled to look for alternatives. In times of awareness on ’Swachhata’. The repairs needed at the most only 3-4 days has not reached any visible signs of progress even after a week. The corporation officials have chose to ignore the difficulties faced by the travellers. During the nights, a few travellers relive themselves at some open space at the premises or near the walls and thus the bus stand is overpowered by overwhelming offensive stench far and wide. Those passing by and alighting from the buses are angered due nasty stench. Those concerned regarding the work are simply ignoring the good of people, it seems they have absolutely no time to listen to the problems of the people. The city bus stand was newly constructed in 2008. The corporation gave the responsibility of the restrooms to a private organisation; they have not provided any alternative arrangements for the public with the and started the repair work on the restrooms putting the travellers in a sad position. At least a 100 buses or so pass through each day. Along with a hotel touching the bus stand, there are more than 10 shops here. These business are now being negatively affected. The general public is demanding that the corporation must make sure that the contractors provide alternative arrangements for public.